thymeandplaice: Noma- still the worlds best? 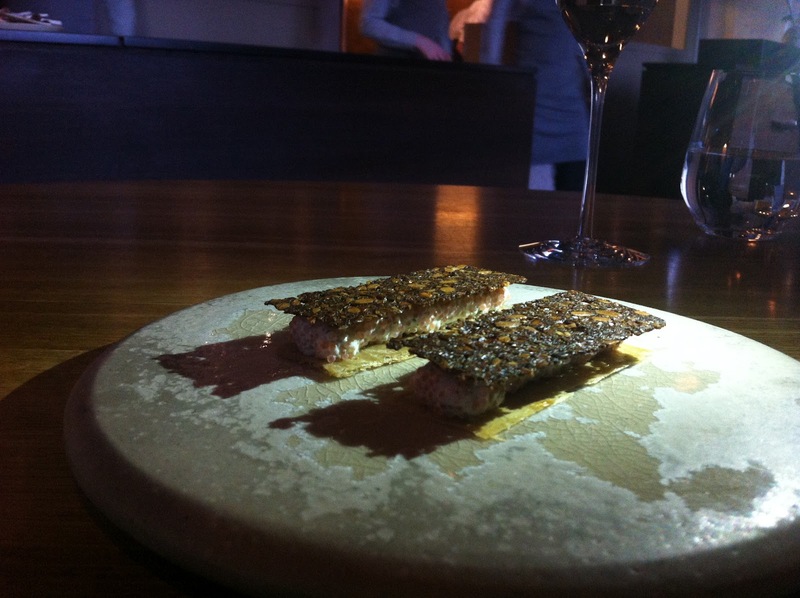 Noma- still the worlds best? 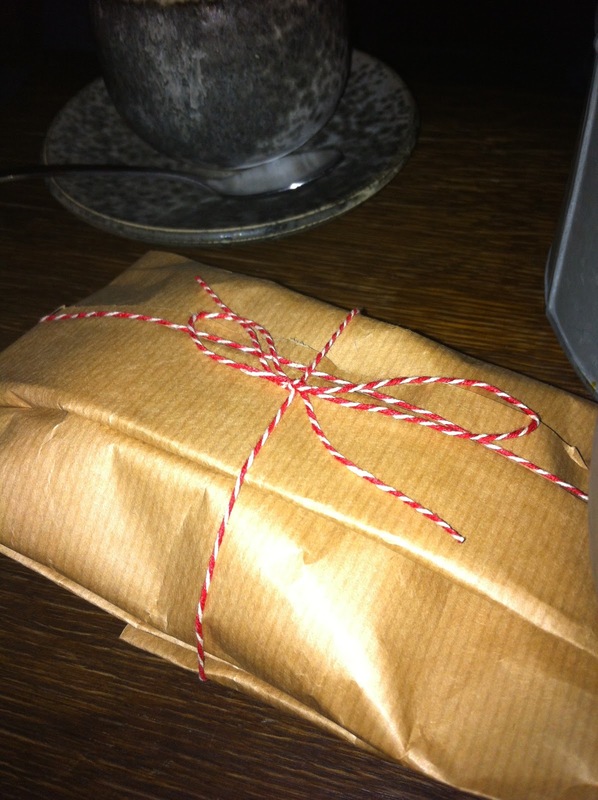 Ok, we all know about Noma, right? Rene Redzepi, foraging, Worlds best restaurant, two Michelin stars, local produce and so on. I am a lucky so and so, and recently I made my third trip there, and was treated to my best meal there yet. I say best meal THERE, because although it is an amazing, one off kind of a restaurant, and rightly voted the worlds best (twice), I have had better restaurant experiences, but not many! 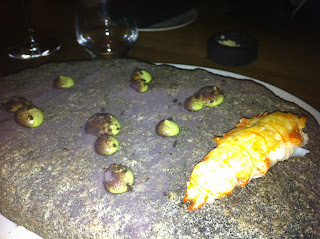 The food is certainly unique, I have never eaten live shrimp masked in a warm butter emulsion before. 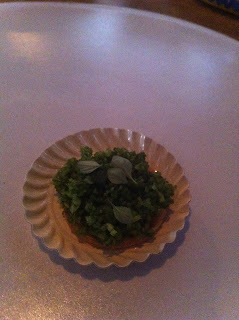 Similarly, until I reached Noma I had never been offered a mussel in a shell and told to eat the whole thing, shell and all. It is also the only place, to this day, where I have been served distilled tree sap as a beverage for with my meal instead of tap or bottled water. All of these factors, and a whole lot more, contribute to a fantastic experience, as obviously there is so much more to a restaurant than the food. At Noma, more than most other restaurants, the whole team buy into the philosophy and food on offer. Each member of the team has an encyclopaedic knowledge of the dishes and provenance of ingredients, and that makes a real difference. 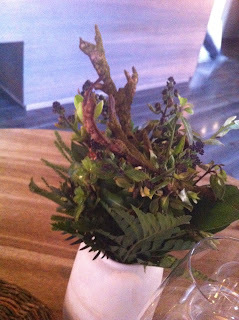 How many times have you asked a waiter about an element of the food, only to have them say " I'll just check with chef"? This feeling that it is a team effort really sets it apart, and is a huge inspiration for me as a chef, to make sure that I train anyone working with me to know all there is to know about the menu. Having said all of that, and to reiterate my feeling that it is a fantastic restaurant, with the 2012 'worlds best restaurant' awards coming up on monday (30th april) the question has to be asked- is it still the worlds best? To help make my mind up, and hopefully yours too, here are a sample of some of the dishes I was treated to this time, along with a little insight to how they are created, and what makes them magical. Pork scratching, with blackberry leather and smoked sea salt. the rind of the pork is salted, rinsed and steamed under vacuum, then dehydrated for several hours before being deep fried. This process makes the scratching very light, aerated and crisp. The leather is made by puréeing blackberries and spreading it out and dehydrating. 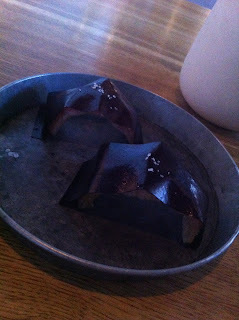 the natural pectin makes it set into a chewy leather. A slightly unusual flavour pairing at first, but as you eat it everything comes together and works very well. Savoury cheese cookies arrive in the sort of tin box my nan used to use, and in fact Rene told us that the tin which contained our cookies was given to him to use in the restaurant by his mother-in-law, and it is the only piece of equipment used for service in the restaurant which doesn't come from Denmark. The cookies themselves are made with a Danish hard cheese, and are short, crumbly and intensely cheesy, and topped with a mix of herbs including lovage and parsley. 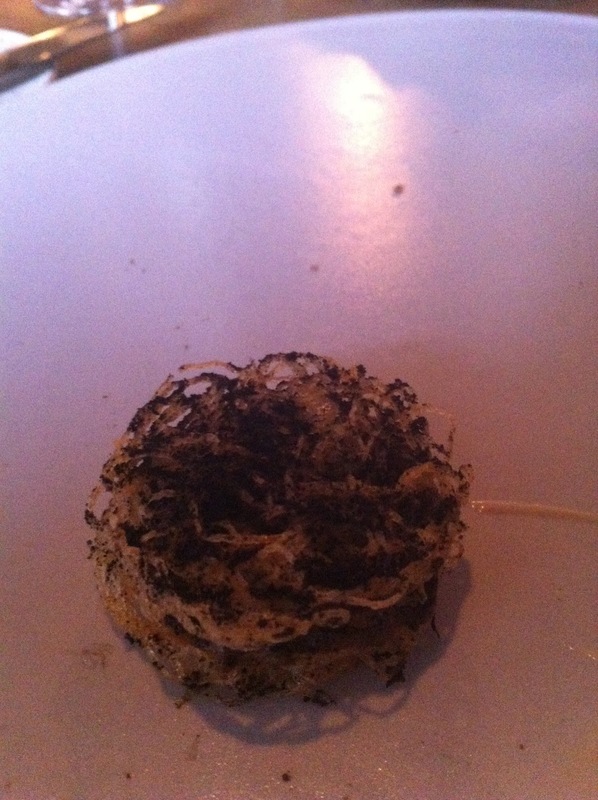 tiny potato cakes sandwiching a chicken liver parfait/mousse, sprinkled with a powder made from dehydrated trompette mushrooms. Sublime textures and flavours, very rich and an intricate assembly. One of the classics- crisp chicken skin, smoked cheese and lumpfish roe filling, and a ryebread crostini on top. 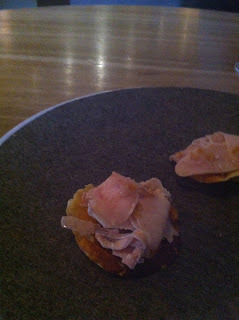 Great salinity from the roe and chicken skin, and great textural contrast. 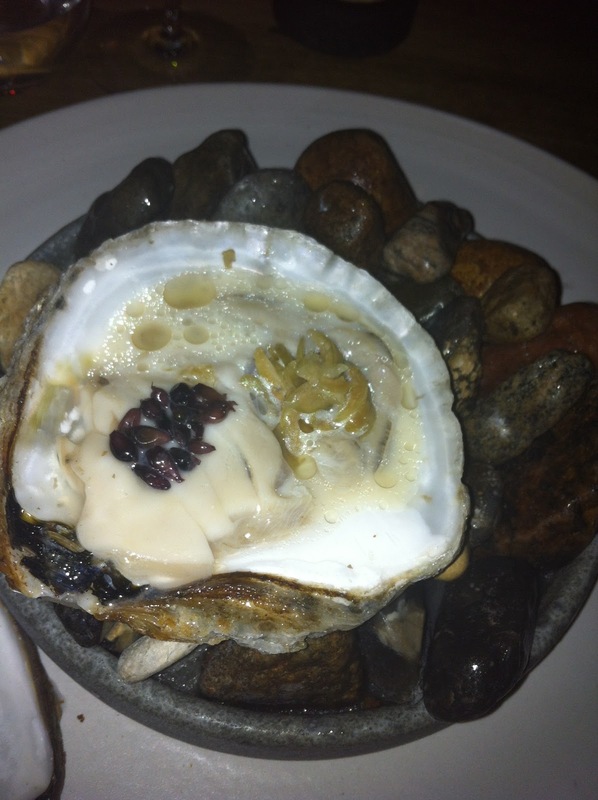 Steamed oyster, cooked in the shell and then sliced, the juices are made into a white wine sauce, and all served in the shell with air onions and salted green (unripe) plums. We were informed the onion and plum elements were quite intense and that the best way of eating the dish was to mix all the elements together so each mouthful has a little of everything. 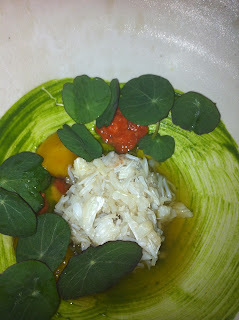 This was one of the highlights of the meal, Danish brown crab, steamed very slowly to keep it moist, and served with its own pickled roe, egg yolk cured in tea, nasturtium leaves and a broth made from sul, a variety of seaweed. the crab was very sweet, the roe and yolk very salty, and the broth had a strong earthy umami flavour, and the leaves were very peppery. Again, perfect balance, and great flavours. Straight out of the development kitchen, the perfectly formed pea dish. raw and cooked pea halves on top of a fermented pea mousse, a slightly jellied herbal tea broth surrounds them, and the petals from peach flowers and apple blossom are very precisely scattered on top. Although we were told our feedback was appreciated as it was a newbie, they knew, as they always do with new additions, that it was spot on. 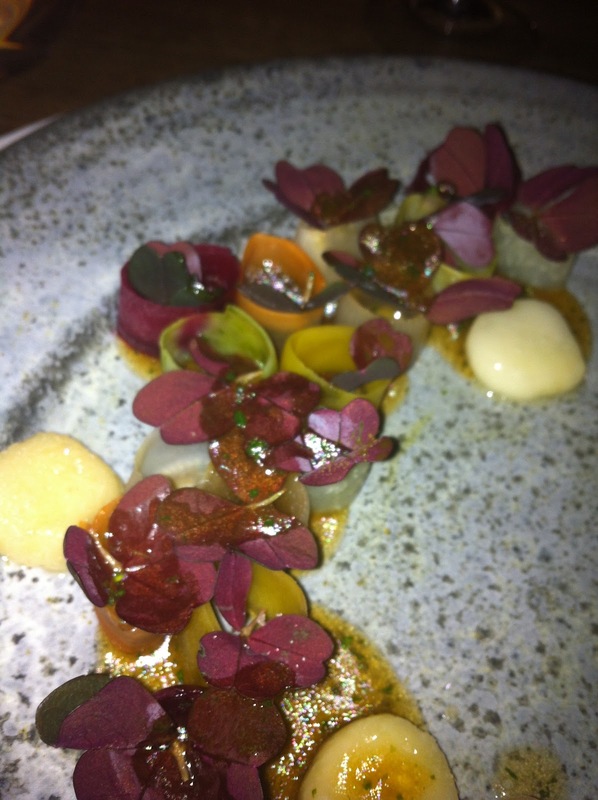 the different levels of flavour offered up by the pea elements were jaw dropping, and the match with the herbal tea and fruit flower leaves was incredible. so much flavour from such a simple ingredient. 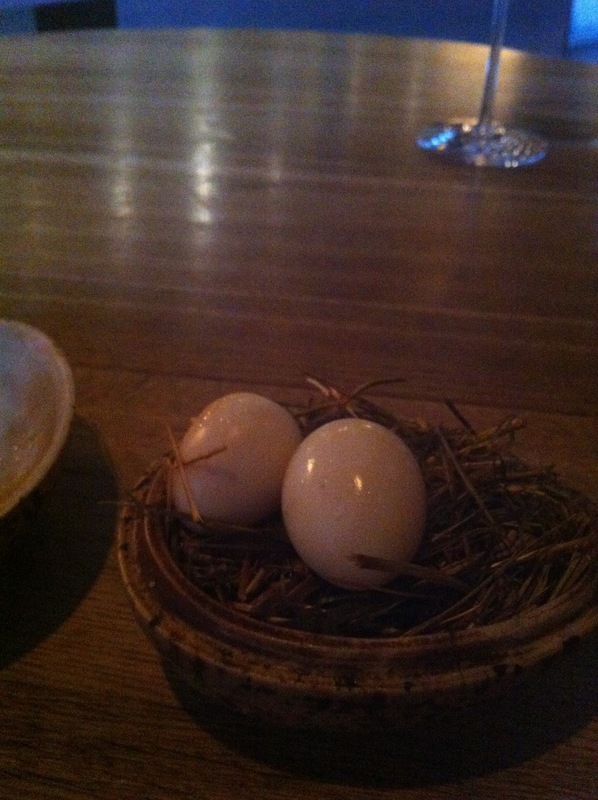 Another classic, the hay smoked pickled quail eggs. The eggs are soft boiled, so the yolk is still runny, and then they are pickled in apple balsamic vinegar. Brought to your table in a large egg shaped container on a little smouldering hay, allowing a little more theatre to your table, as you open the lid and get a waft of the vinegary smoke. Shaved frozen cod liver (think of a rich, fishy foie gras), frozen kelp and caramelised milk crisp. Intense, different and tasty. Carrot and sorrel. 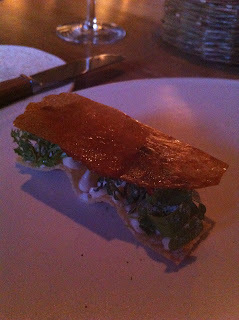 This is a classic example of a Noma dish which looks like its been thrown together in a few minutes, but actually takes great technique, precision and a lot of time. The carrots get the waterbath treatment for forty minutes, and then are chargrilled over a very low heat for six hours, being turned every twenty minutes. 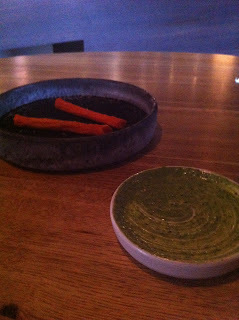 The carrots are served on a thin film of charred hay powder, and a sorrel emulsion is served seperately, with the explanation to roll the carrot in the emulsion, then in the hay ash again. The tastiest carrot I have ever had, by some stretch. 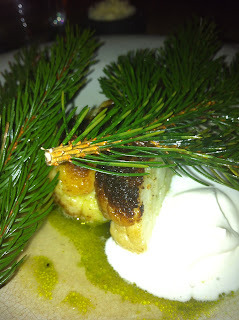 More vegetables, and this chunk of cooked cauliflower is grilled over pine, served with horseradich cream and a broth of seperated yoghurt whey, and pine oil. Once again unusual, but very tasty. Grilled langoustine, parsley and oyster emulsion, sprinkled with seaweed powder and served on a huge stone, from the same beach where the langoustines are sourced. Simple, elegant and great flavour. 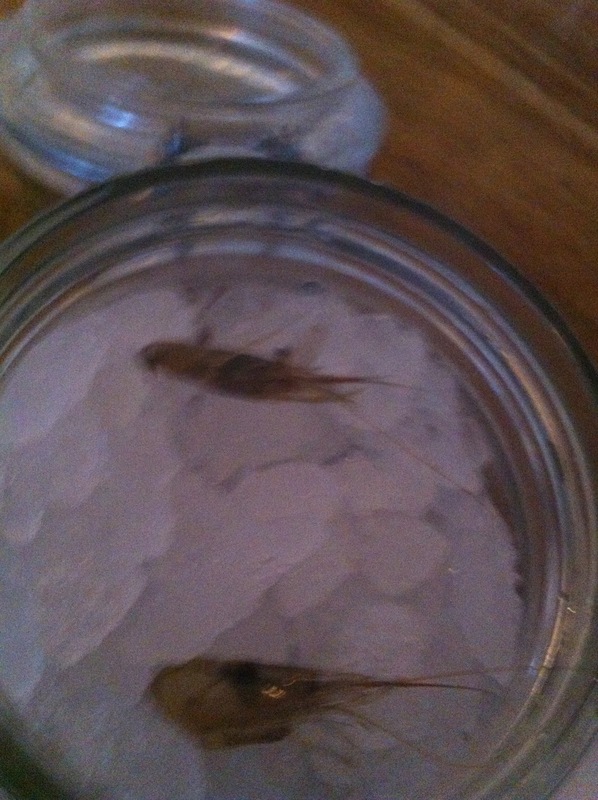 the huge seafood is dunked in the emulsion and eaten with the fingers. Seven pickled vegetables, each pickled in its own vinegar and flavourings. Served with bone marrow and a jus made from pork rib bones. Perhaps unsurprisingly, each vegetable does have its own flavour and the combination of the pork jus and the marrow is incredible. A definite winner. 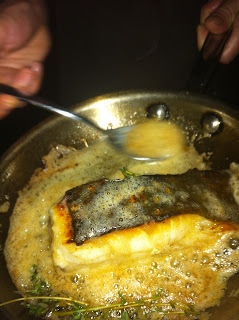 Roast turbot, brought to our table for us to see mid cooking. then a few moments later, served with its own roe, celeriac and a broth of mushrooms and berries. 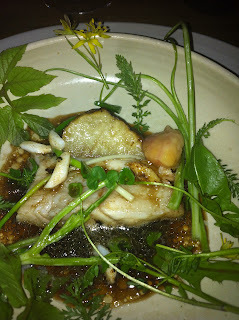 A great dish, and very seasonal with the turbot in roe. (this only happens for one month in the year. 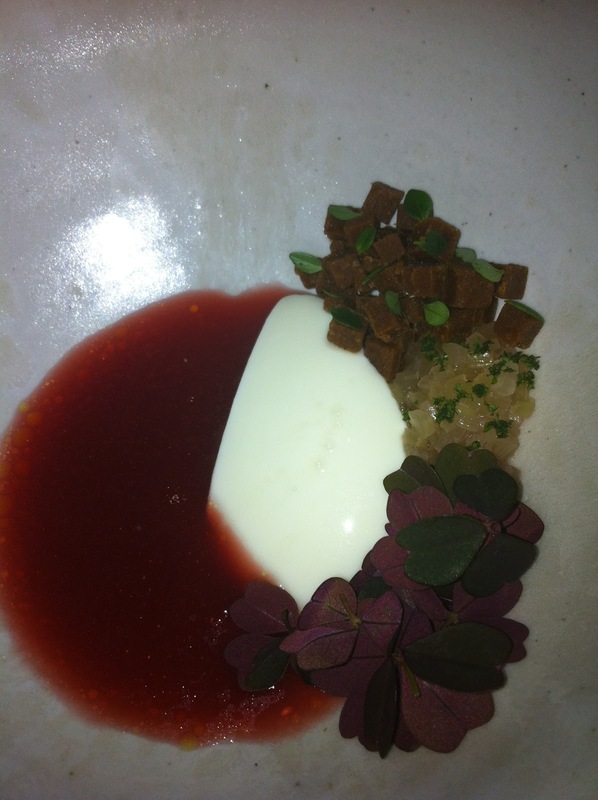 Sweetened rhubarb juice, raw rhubarb, fresh cheese, red sorrel (oxalis) and brown cheese, which is made from the caramelised whey, and has a sweet flavour and shortbread like texture. Again, simple, clean and very well balanced. 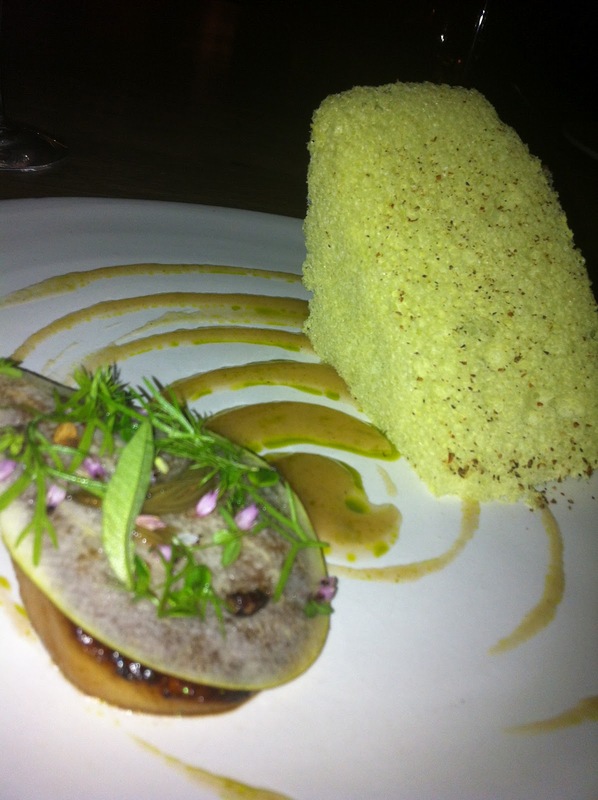 Grilled pear, raw pear, wild herbs, frozen aerated pine parfait, and a sauce of caramelised pear and aquavit. fantastic technique, and clean presentation. freshness from the herbs and the raw pear stop this being an overly sweet dessert. 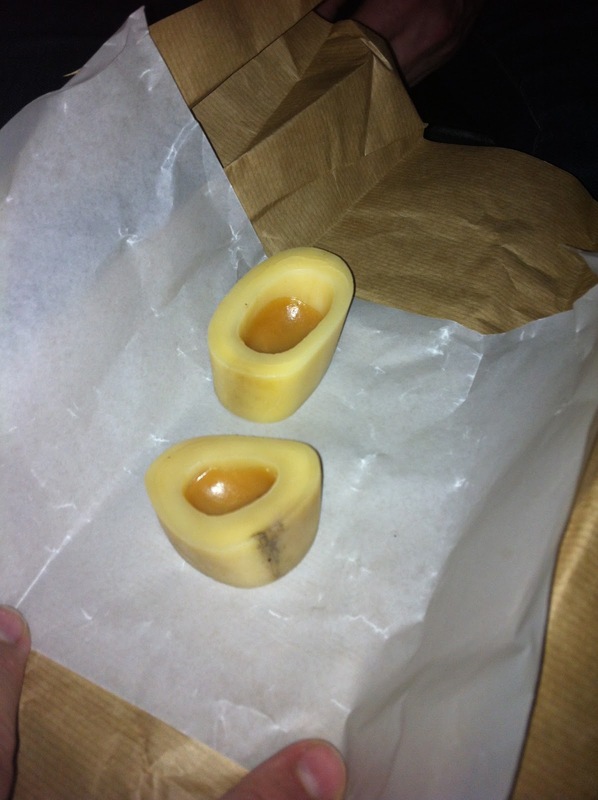 After dinner, and the obligatory tour of behind the scenes, we had some coffee and a few sweet treats including this toffee made from smoked bone marrow, and presented in the marrow bones and wrapped in brown paper. a great way to finish the evening. All in all, there is much to praise and very little to criticise. We weren't the only people in the restaurant that evening, but at times it felt like we were, such is the warmth and talent of the staff. Over the course of the meal, we had around 28 offerings (its hard to call them courses, when often you are served several at a time, and they vary in size from single bite to a generous fish course kind of size) and we must have had at least 12 different members of staff serve us at different times, from commis waiters to Rene Redzepi himself and his head chef Matt Orlando, and each and every time one of them approached us, we had their undivided attention. 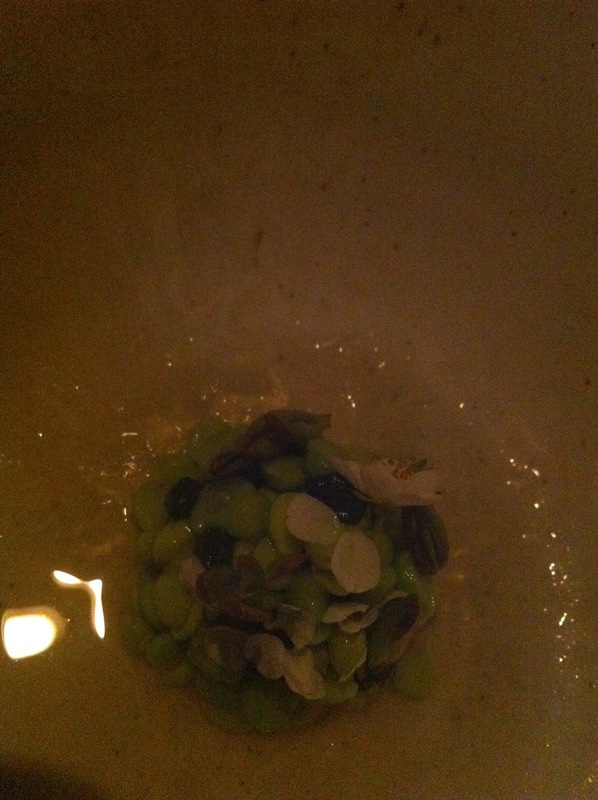 So, Noma. 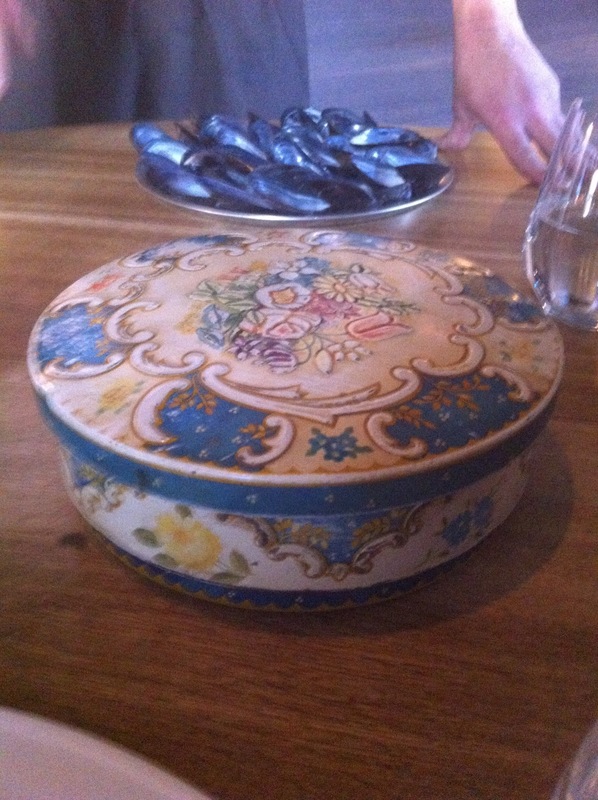 Are you the Worlds best restaurant? I dont know, but I have to say, if there is a better one, I want to go there now! Great Post Steve - thanks for sharing your experiences. Excellent blog Steve- good to hear things are on the up at noma- No1 again! A very good read for anyone intending on trying to get a table there. It certainly seems worth all of the considerable effort. I want to go. Do you have any tips? I had an opportunity to book a table at the Noma/Claridges pop up yesterday, but decided that there was no way that the original Noma experience could be recreated. Your review has confirmed my opinion.